Soak the almonds in cold water for 8-12 hours so that they become softer. Skin and all. Put the almonds in a blender. Not too many at a time. Cover them with fresh water. 2 parts water to 1 part almond. That is about 2-3 dl (1 cup) almonds at a time for 4-6 dl (2 cups) water. Depending on how much your blender can handle. Blend for 2-5 minutes! As finely as you can. Remove the solids by pouring the blended mixture through cheesecloth in a sieve. You should Preferably use 2-3 layers of cloth so the milk will become as fine as possible. Season with the sugar and salt. You can easily use three meassures of water to 1 meassure of almonds while blending them. The milk will be a little thinner, but still very good. The milk typicall seperates in the refrigerator. Just stir it and it is as good as new. Can keep 2-3 days in the refrigerator. You can use most kinds of nuts and make them into "milk" in this way. Easy and fun. 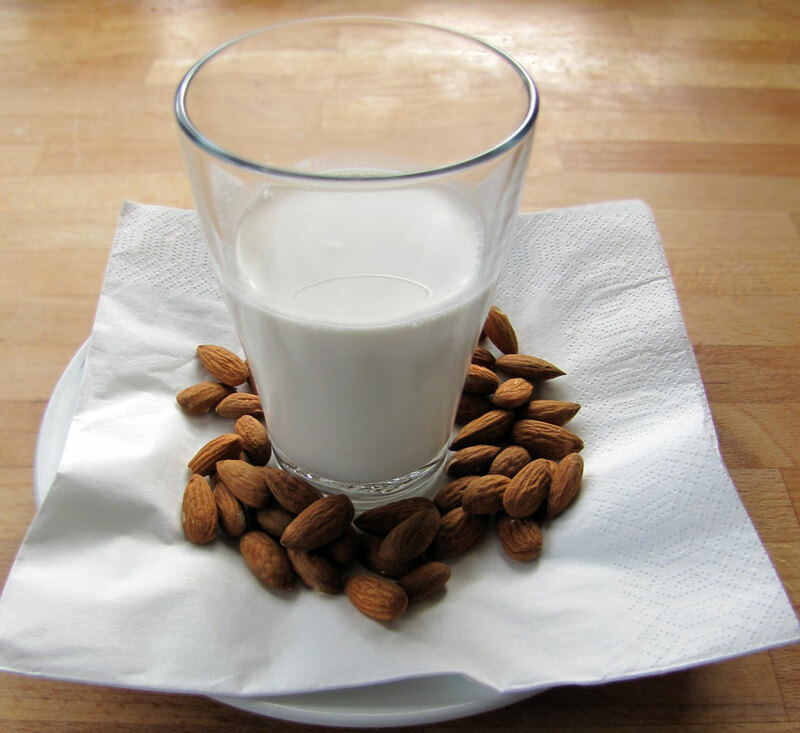 It does not really matter for almond milk if you deskin the almonds or not. If you do use almonds in the skin it gives the milk a slightly more nutty flavor. But only so much that you have to test taste them next to each other to taste the difference. 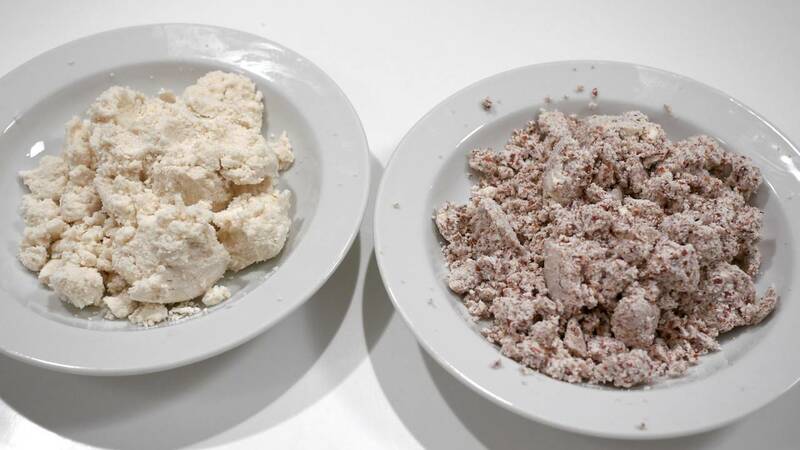 The main difference is that the almond flour that remain after sieving can be used for several different things if you have deskinned the almonds first. Almond flour can be used in cakes, cinnamon buns, stuffing, pie plates, remonce etc.. Etc..
Almond meal of almonds with skin can be used for things that are already a little bitter. For example chocolate cakes, wholemeal bread, rye bread, etc. But whether the leftover almond flour is with or without the skin, put it in a 130°C (265°F) hot convection oven for 30 minutes or until it is lightly browned and dry. Then you have a fine toasted mandemel. Stir occasionally so all the flour dries up. It can be stored in a plastic bag or a box until needed. If you deskin the almonds you can use the leftovers to make marzipan with. Mix them with icing sugar until it gets the right consistency. If you find it hard to make it sticky enough you can use some syrup.